No more running wires from back to front! Audi, BMW, Toyota, Mazda, etc. Don't let the humble appearance of this small wireless bumper backup camera fool you. You're looking at a highly advanced wireless reverse camera with a 120-degree perspective, full-color filming, and military-grade night vision capabilities. If you're looking for the ultimate wireless in-car camera, you may want to take this baby for a test drive. At TadiBrothers, our commitment to superior quality is reflected in every camera and accessory that we sell, and we're confident that this model has everything you're looking for in a wireless backup camera. See for yourself. In addition to the vivid picture quality, this camera offers the benefit of aggressive durability. In other words, it's ready for whatever journey you plan to take. Rain, dust, humidity, snow...this camera is more than equipped to withstand the perils of the road, so just sit back and enjoy the ride. Place the device discreetly along the rear of your vehicle, adjust it to your liking, and enjoy seamless, wireless transmission. It's great for cars, trucks, motorcycles and SUVs. this camera can also be used as a spy camera for car. 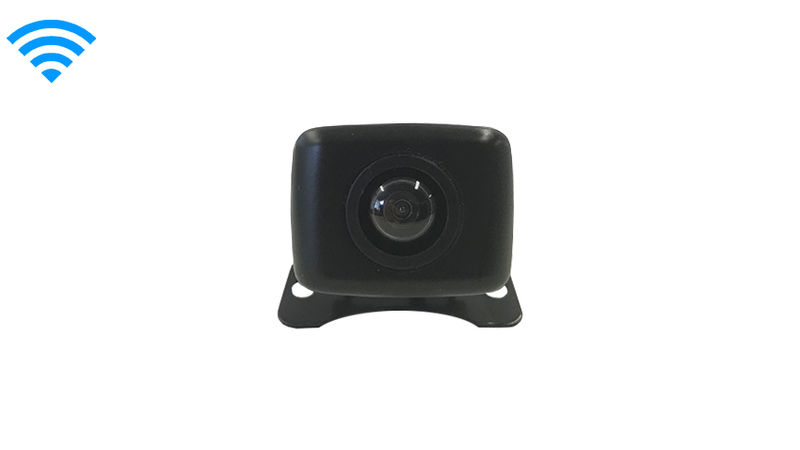 If you're looking for a solution that's as reliable as it is affordable, as durable as it is versatile, then we invite you to try out this winning wireless backup camera. If you're not satisfied, we offer a 30-day, 100-percent money-back guarantee. So try one for yourself, and experience your journey with a new set of eyes.
" The transmitters were great I had a little trouble when I first installed them but after calling the customer service department I realize that I wasn’t getting enough power to the transmitters. They had had me fix it and 20 minutes later my system has a clear picture even while I’m driving down the road. " " When I first installed my system the image work great but after a few weeks the system started having some snow, I called up Tadibrothers service department and they told me that there was noise in my electricity, I honestly don’t even know what that means but they told me they sold me an engine noise reducer and after a three minute installation my image was even better than when I first purchased it. Now when I’m driving down the road most people looking at my video think that is a hardwire connection but they are shocked when I tell them it’s a wirelsss camera. This wireless system works exactly as advertised and I am happy to be a Tadibrothers customer I strongly recommend you purchase this system because Tadibrothers will take care of you. " "I tried to connect the wireless transmitters to the 12 V of my system but the wires to connect the 12 walls are too thin it took me a while to get it working. When I was finally done I am relatively satisfied with the product but I think they could’ve been me improve the quality of the wires it doesn’t have to be so thin I have to admit that the servers a parent was extremely helpful throughout the whole process but my review has to be honest reception was pretty good, the wires were too thin. After spending weeks shopping on eBay and buying different transmitters dad didn’t even go for 10 feet I guess Tadibrothers beat them all I just think that the price of the transmitter was a little expensive but what can I do it was still better than anything else I saw there let’s hope it holds up. You can be sure that I will be back and update this review if there’s a problem. I really do want to send a thanks to Eddie and Tommy who took care of me after service department I know that I can be a little difficult as a customer but they were very patient with me and ultimately my transmitter were working and I guess that’s all that matters. " " For years I was buying these cheap $10 transmitters on Amazon and was switching them out every 4 to 5 months because they would actually melt in the back of my vehicle not to mention reception was always poor and I will have to play games trying to find the exact spot where the reception would be best finally I broke down and I decided to buy one of these transmitters I was honestly skeptical at first and when I got it I still wasn’t convinced however after installing them And using these transmitters while driving down the road I am convinced in the saying “like most things in life you get what you pay for” I am very satisfied with this product I think over the last three years I spent $150 on replacing junk transmitters that kept breaking and never had good reception finally I purchased these transmitters and I am very happy I have been using them for the last nine months and they work as good as they did when I got them out of the box. $50 and worth every penny Thanks, FB"
Copyright © Tadi Brothers. All Rights Reserved.